By 1997 the Tories had exhausted most of the possibilities for the direct sale of state-owned assets. Public transport, utilities, energy and communications infrastructure had all passed into private hands, raising £123bn. What remained were mainly services – health, education and local government – impossible to privatise without guaranteed profits. Facilitating the changes required the state to continue to levy charges from every individual taxpayer for the service concerned in the form of taxation, passing the collected revenue to the private sector as profit. Gordon Brown talked of ‘risk transfer’ to the private sector, but, in reality the state retained the real risk so far as the private sector was concerned. That of getting the money out of the taxpayer.Multinationals did not have to worry about whether or not they would collect payments from the ‘taxpayer’ the state would continue to take care of that. This was not a problem for the new owners of gas, electricity and telecommunications industries: they would simply cut off consumers if they failed to pay their bills. In education or health this was not acceptable but private capital still needed to make a profit from running these services, and that required cuts, whether in services, or in the pay of the workers providing them, or both. Universal provision would be further eroded since it was services to the working class that bore the brunt of any cuts. When Labour first came to office in May 1997, PFI under the Tories had stalled. On taking up office New Labour appointed Geoffrey Robinson to the post of Paymaster General. Working with Gordon Brown’s Treasury team he proclaimed his and the labour Party’s support for PFI. He then contracted Michael Bates, (later knighted for his services to privatisation) then head of global finance services organisation AMP, to complete a review of PFI. The subsequent report presented a glowing future for the country under the PFI banner. 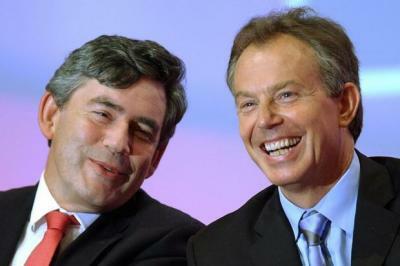 Tony Blair & Gordon Brown soon kick-started a programme of change through the establishment of a dedicated Treasury taskforce to handle the process across government. From £7bn in April 1997, the value of PFI contracts rose to over £25bn by October 2000 with a further £11.5bn in the pipeline. The first £14bn of PFI would yield the private sector a guaranteed £96bn income over a 26-year period. estimates were that PFI contracts could be worth £30bn per annum to the private sector, £5bn in education alone, including one in five schools. To promote it, new quangos were formed. The New Local Government Network (NLGN) and its equivalent for the NHS, the New Health Network (NHN). Connecting them was the Institute of Public Policy Research (IPPR) and part-privatised Treasury taskforce, Partnerships UK. Previously, public-private partnership used to be called corruption. Now it became the norm – private companies no longer needed to bribe public officials to influence policy; they worked openly with the enthusiastic support of said officials in deciding what service was next for sell off. A typical example was the plan to close down Edinburgh Royal Infirmary and associated financially lucrative premises in the middle of Edinburgh, and replace them with a new hospital built by a private enterprise consortium on the outskirts the city. The area got a new hospital, the consortium got the business, but the people of Edinburgh got a hospital with 300 fewer beds than originally planned and substantial cuts in staff. “When I arrived as head of the Private Finance Unit PFU it was just after the 1997 General Election. I had some experience of PFI in my previous job funding further education colleges, but I had much to learn. Fortunately, most other people had as well. It was a time of rapid change. There were doubts about the ability of local government and health bodies to undertake PFI, and the policy had yet to deliver its potential. The first Bates Review was quickly upon me, and I had to quickly assess its implications for Scotland. The key recommendation was the establishment of a Treasury Taskforce under Adrian Montague. I was very lucky over that first summer in having a mini-taskforce in Edinburgh in the Shape of Charles McLeod, who was at the time working with the Panel Executive. Charles was both a source of information and an inspiration with his can-do attitude. That, of course, led to his later success heading the 3ED team in the Glasgow schools project. Once Adrian was in post I recall meeting him in London when he came to brief the late Donald Dewar with Geoffrey Robinson, at the time Paymaster General. This was the beginning of a very constructive relationship with the Taskforce. Particular mention needs to be made to the assistance that David Goldstone and Lindsay Watson gave to pathfinder projects such as the Glasgow and Falkirk schools. On the delivery front a key requirement was to get PFI established in local government. It was natural that the focus should be on schools, with the new Government’s emphasis on ‘Education, education, education. McLeod’s employment record is chequered. Born in London, he spent his first seven years in Rhodesia, before moving back to England and Kent, where he spent much of his childhood. A spell in the army preceded his attendance at King’s College, London, where he gained a BA (Hons) in German, after which he went to the Royal Military Academy at Sandhurst. He served as a platoon commander with the British Army for 10 years, and saw service in Northern Ireland. He eventually became captain in the Queen’s Regiment and was later awarded an MBE for his services in Northern Ireland. He left the army after 10 years and joined the Foreign Office (diplomatic service) taking up a post as monitor (spook) for the European Community Monitor Mission in the former Yugoslavia, and went on to work as a political adviser to the International Conference in the region. September 1995 – September 1997: On return to the UK from Europe he joined the Tory government’s “Private Finance Panel Executive”, working out of the Treasury Office. The Treasury’s first quango, developing with others the concept of using private finance to fund public utilities. Still with the team and a civil servant he was soon seconded to the Scottish Office where he helped the Inland Revenue and West Lothian College with restructuring projects. He then worked out of the Scottish Office restructuring local government funding. He also worked with Falkirk Council procuring their first schools project for five new schools, the first grouped schools PFI project in the UK. 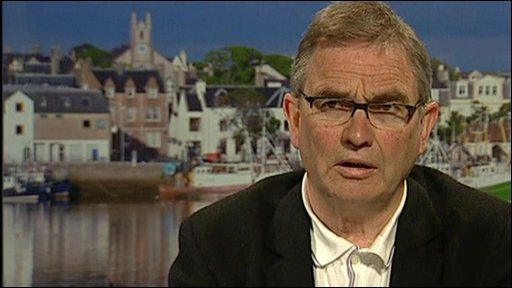 Still with the Scottish Office he went on to prepare and introduce local government restructuring policies for the distribution of local government finance. The Ugly truth of the labour Party and PFI – Typically the unitary charge is three to five times the capital cost, and on more egregious PFI projects as high as seven. May 1996: PFI conference in Edinburgh: The conference discussed what the establishment of a devolved Scottish Parliament meant for joint projects. Would a Scottish Parliament look to private finance to play a role in its plans for Scotland’s infrastructure? Speakers from local government, the construction industry, finance and business brought their views on current arrangements and possibilities for the future. Charles Mcleod, MBE Alistair Darling MP led discussions outlining the Labour Party’s proposals. 1997: In Scotland the Directors of Education Services and Financial Services submitted a joint report to the “Scottish Executive Private Finance Unit” on a feasibility study for a PFI project in education. February 1998: Glasgow City Council decided to reduce its secondary school estate from 38 to 29 secondary schools and reinvest the savings. An outline business case was prepared to assess the affordability and value for money of a PFI for the modernisation of its secondary school estate. Subsequent developments relating to the modernisation of Glasgow secondary schools buildings and the introduction of an ICT programme were based on this Council strategy. September 1997 – January 2001 (3 years 5 months): Captain Mcleod resigned from the Scottish Office quango and transferred his employment the newly created 3ED Glasgow private Consortium. He assembled then guided his team setting up the award winning Glasgow Schools PPP. The £225million construction programme of change included, establishing a 30-year maintenance and a 12-year programme of Information Technology Services for 29 secondary schools and one primary school. He further delivered 10 additional new secondary schools within the client’s affordability. Won Project of the Year Award at the 2001 PPP Awards and Education Project of the Year at the 2002 PPP Awards. October 1997 – August 1998 (11 months): Captain Mcleod Departed 3ED and joined Miller Construction as Business Development Manager. June 1998: Captain Mcleod directed the development of Group strategy, establishing a new division to secure major PPI regeneration and partnership projects.Teams were quickly formed and trained and bids submitted for a number of PFI projects. April 1999: The row over Scottish Labour’s support for the Private Finance Initiative deepened after the party treasurer called on it to ditch the policy. June 1999: The Scottish Administration promised reform of the controversial private financing of public sector projects in Scotland. Finance Minister Jack McConnell told MSPs new measures would be introduced to protect public sector workers’ pension rights and prevent revenue from surplus land being lost by the government. January 2001 – March 2003 (2 years 3 months): Amey inc: restructured creating a Scottish corporate presence (Amey Scotland PLC) allowing it to “focus more closely on Scottish business opportunities, reduce operating costs”. Amey: A FTSE 250 construction company metamorphosed into a support services business.Scottish turnover was c.£100m, generated by 1,400 employees. Amey was the lead partner in the 3ED consortium formed specifically to provide £1.2b for the Project 2002 schools’ modernisation programme in Glasgow, the largest PFI scheme in British education. The project included a £225m capital construction programme, establishment of 30-year FM and 12-year ICT services for 29 secondary schools and one primary school and delivered 10 additional new secondary schools. Amey won a £360m schools contract from the City of Edinburgh Council. Under the 30-year contract, 10 new primary schools, two special schools, two high schools, a secure unit and a community centre would be built, and three high schools and one special school would be refurbished. Amey was also involved in running a large number of public sector services, including Railtrack (it was a contractor at the time of the Hatfield crash). Amey also planned to expand into the health sector, specialising in the provision of back-office and administrative systems for hospitals rather than front-line medical care. Amey won the right to provide road maintenance projects including a 176m contract to maintain eight motorways and 16 trunk roads from Perth to the Borders. In addition, Amey won an 8m a year contract for 10 years to maintain all roads in North Lanarkshire. 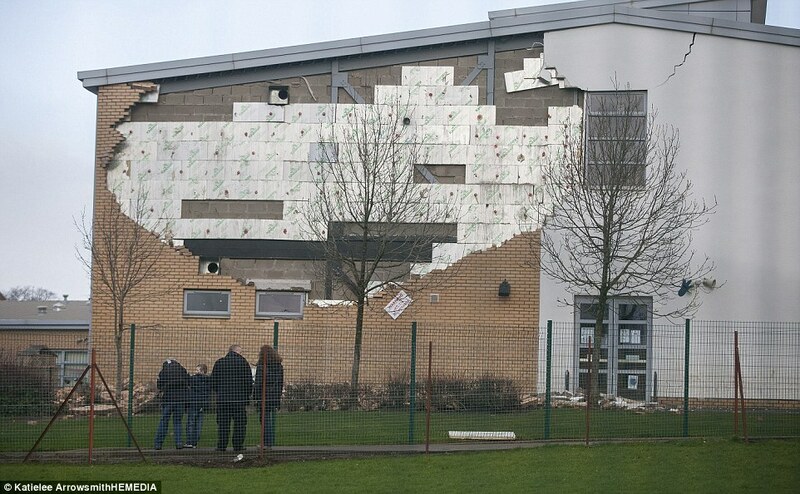 A ugust 2001: an article in the Guardian reported that teachers at a Glasgow PFI school were threatening strike action due to the poor standard of rebuilding and refurbishment work. Staff complained that on returning to the school for the new term building materials and equipment still lay in the corridors. Five schools involved in the scheme failed to open on time and teachers reported that classrooms were much smaller than promised and that there were fewer of them. March 2002: Amey announced radical changes in its accounting policies. Under the changes, Amey would write off all bidding costs and similar costs incurred in winning work as and when they were incurred. In addition Amey committed to spreading income it would have received on the closure of a project over its early years, so deferring this income. Previously, it had deferred or capitalised costs only when it was named preferred bidder. The changes led to a 17% decline in Amey’s share value and turned the company’s £55m profit for 2001 into a pre-tax loss of £18.3m. It also highlighted concerns that Government’s PPPs could be jeopardised by the City’s concerns over new accounting standards. November 2002: Amey reversed an earlier decision, announced to the City, to pay a 1.16p interim dividend costing £2.9m because it had “insufficient distributable reserves”. Shares in Amey slid a further 15% to 26p; meaning 90% of the company’s market value had been lost. Amey tried to offload its equity stakes in all of its PFI contracts – with the exception of its one third share in the Tube Lines consortium. December 2002: Amey announced plans to slash £85m from the book value of its assets and warned shareholders that pre-tax results would take a further hit because of contract delays on the London Underground public-private partnership. Amey hoped to offload its PFI contracts to John Laing before the year end raising around £50m – some £30m less than book value. January 2003: Amey sold its stakes in eight PFI projects to rival John Laing, including 30-year building and maintenance contracts for Glasgow and Edinburgh schools, but retained sub-contracts to provide cleaning and IT services. January 2003: Leading PFI firms including Amey, saw their share price fall. An investor who brought £100 worth of shares in each of 9 leading PFI education firms would be left with just £371 worth of shares – a loss of £529. March 2003: Amey posted a pre tax loss of £129.5m for 2002 compared with £18.3m in 2001. Amey sacked its Chief Executive and two finance directors. The company stated it had incurred exceptional charges of £110.2m in 2002, mainly through writing down PFI investments such as the Croydon Tram-link. Figures illustrated the fluctuations in the stock market which characterised and influenced private companies’ performance and viability. This made clients of the consortium 3ED, which included schools in Glasgow, Edinburgh, Falkirk and other Council operations, very vulnerable. Private companies have no statutory responsibility nor public duty to provide education services nor are they democratically accountable to their communities. They are bound by contracts which can be varied or broken. Profit to the private sector from outsourcing to contractors arises from money previously ear-marked for the benefit of schools and their pupils. April 2003: Amey goes bust Sold for £81m to Ferrovial, a Spanish construction and business services giant, which assumed debts of £190m. Ferrovial Servicios, whose British interests had been limited to a half-share in Bristol Airport, said it intended to use Amey as a stepping stone into the world of PPP in the UK and further afield. April 2003: The board of troubled Amey PLC – once one of the biggest PFI firms – agreed to an £80m takeover offer by Spanish construction group Ferrovial. 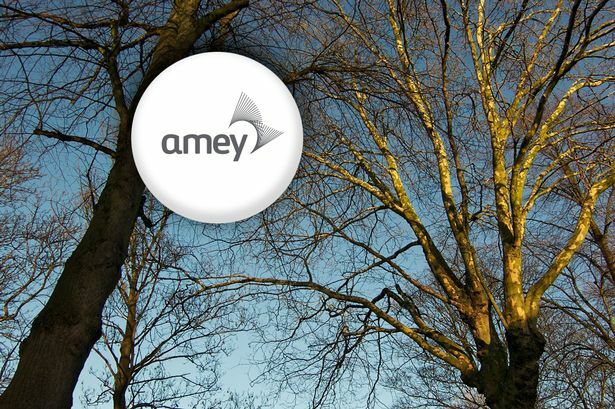 Amey was until recently a construction and services powerhouse worth £1bn. But it squandered its advantages – contracts to take over parts of London Underground and various Ministry of Defence and Network Rail deals – through mismanagement and too-fast growth. A black hole was found in the accounts, leading to the exit of two finance directors and, finally, the removal its of chief executive. May 2003: The Glasgow Herald, reported that that the Financial Services Authority would investigate possible insider dealing following unusual share price movements before the takeover of Amey by Ferrovial Servicios. Shares in Amey had changed hands in unusually high volumes prior to the takeover by the Madrid. Meanwhile, the torrent of academic papers critical of the PFI continued. Inveterate critic Allyson Pollock, head of health policy at University College London, shredded the performance of a PFI scheme for the new Royal Infirmary in Edinburgh. In the Glasgow City Council schools project charges for accommodation in year one grew from £24m in the feasibility study to £36.7m in the Full Business Case (FBC). Seven swimming pools were lost along with classrooms and staff common-rooms. The original requirement for refurbishment of 26 schools and the construction of two new schools changed to the construction of 12 new schools as this would be more profitable for the construction company. The National Audit Office – the spending watchdog, called for more transparency in PFI bond issues, while the Conservative Party accused Gordon Brown of being the “Enron chancellor” because he used PFI to push spending off his balance sheet. A recent study by consultancy “Capital Economic” suggested that £22bn had been moved in this way. The labour government insisted any criticism was simply petty politicking. Brian Wilson, Minister for Construction (in executive control of PFI policy in Scotland) claimed it was ludicrous to highlight as typical a few PFI deals that have gone wrong. A company that made many millions from the Scottish taxpayer was Amey’ It soared into the new PFI market, strongly backed by PricewaterhouseCoopers (Putr), the biggest accountancy firm in the county. It was PwC, for instance, which persuaded Glasgow and East Renfrewshire councils in Scotland to hand over the running of their schools to a consortium led by Amey. The public private partnership (PPP) for the Glasgow schools led to widespread protests in the city, especially over the closure of swimming pools. Few paid any attention to that warning. Amey and PwC were a convincing double act and went on winning PFI contracts to run schools all over the country, most notably in the London borough of Waltham Forest. Into the bargain, and just to prove the firm’s close association with the government, Amey was awarded a £35million – 35-year contract to run an “accounts service” for the department of trade and industry. Meantime there were warning signs that all was not well with Amey. At the beginning of 2002′ Amey was knocking at the door of the Footsie top 100 companies in Britain. But by late summer the share price had slumped. The firm was obliged to admit that its stated profits of £55m were in fact losses of £l8m. How had such a glaring mistake been made? Amey put most of the blame on something called Urgent Issues Task Force Note 51, a note issued by the accounting standards board. This specifically prevented an accounting trick which companies like Amey had used to massage their figures into something very different to the reality. One way they did this was to pretend that the vast costs of bidding for a PFI contract were “investment” and therefore need not be set against profit figures’. This was nonsense and should not happen again the auditors note insisted. So Amey said publicly that because of the accounting standards note, with which it obviously disagreed, it had to admit that a hefty profit was really a hefty loss.Even this turned out to be deception. ln August 2002 David Miller, Amey’s finance director, resigned. He was replaced by Michael Kayser. Kayser soon discovered that the Amey accounts were worse even than had appeared in the summer crisis, and that the firm’s prodigious losses were caused by much more than just a note from the accounting standards office. As soon as he absorbed the state of the accounts, Kayser resigned too. The remaining directors brought in a partner from Deloitte and Touche who insisted that £122m – an enormous sum for a company the size of Amey – should be written off. The 2002 Amey accounts indicated that the huge write-off was necessary for reasons far wider than the accounting standards note. The accounts referred to “write-downs of construction work in progress balances and forward loss provision for which previous optimism as to the recovery. .. has not been born out in Practice”. Amey hoped to avoid Losses on its Croydon Tramlink PFI catastrophe and at the same time book some profits to close the £55m hole.” This it plainly failed to do. Chief executive Staples took a pay off of a quarter of a million quid and went to join the board of a company called “IMI” and sat on the audit committee there. Amey, however, had lost an enormous sum of money, not just by fiddling the PFI books but also as a result of the deranged optimism that plagued a lot of construction companies at the time. 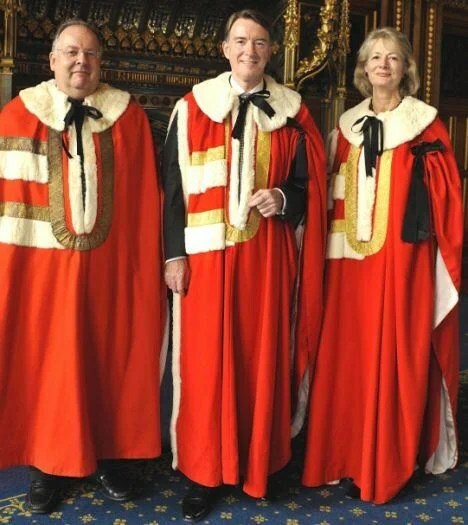 Part of the reason for this was the absurd faith placed in the company by the PFl – crazed New labour government. For instance, just as its 2002 financial difficulties were being unveiled, the Amey board was joined by a New Labour leader of utmost prominence. Baroness Jay had been New Labour’s leader in the Lords and a member of the cabinet. She joined Amey when the company most needed her prestige. Among her fellow directors was former Tory secretary of state for education, John Patten. Patten’s abilities had been questioned by John Major, former Tory prime minister, who suggested his problems in the education department had brought about something close to a nervous breakdown. Patten’s job at Amey was to keep a reliable eye on PFI contracts in schools. In 2003, Amey posted a loss of £130m and was duly gobbled up by a Spanish building company called Ferrovial. Sceptics in the City were surprised that the Spaniards would want to buy a clapped-out loss’ maker like Amey. But the Spaniards’ enthusiasm was easy to understand. Amey was still part of a consortium bidding for a PFI contract to run the London tube. The cream from the tube would easily drown the losses of the past. Thus was Amey’s survival due in no small part to the chancellor, Gordon Brown, described in the Eye as “the only person left in the country who still believes the London Underground should be flogged off to companies such as Jarvis and Amey“. There was, however, one other Person who, despite all the evidence to the contrary, continued to believe in the magic of Amey. In August 2003, at the depth of Amey’s misfortune, Nigel Crisp, head of the NHS, put Ken Anderson in charge of Tony Blair’s ‘fast track’ hospitals”. 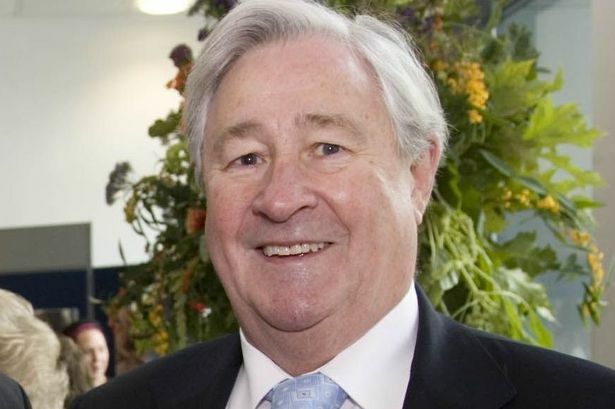 Texas born Anderson, former development director of Amey, (now the new commercial director of the NHS) whose job included tempting private entrepreneurs with records as impressive as Amey’s to run newly privatised diagnostic and treatment centres. So Amey owned Scotland’s public utilities and New Labour runs Amey!!!!! Gordon Brown – The Enron Chancellor – sold Scotland’s public utilities to the private sector then ordered the Councils to rent it back!!! Many people are making many £millions from the sweat of the Scottish taxpayer. The buck stops at the doors of the Labour Party and the Conservative Party who were complicit in the transfer of £Billions from Public ownership to the private sector. An added insult to the injury is that the bulk of the money is now in the hands of foreign countries. Crazy.